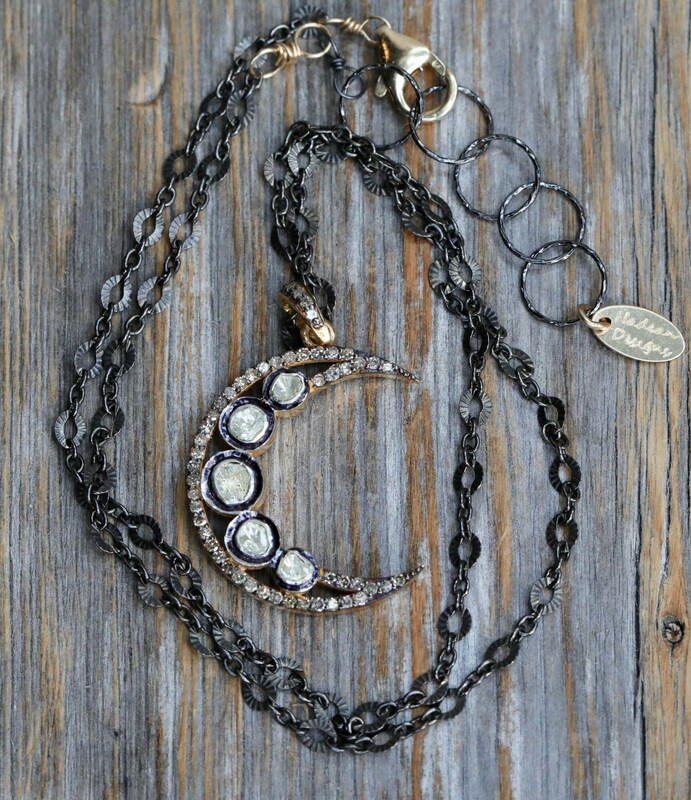 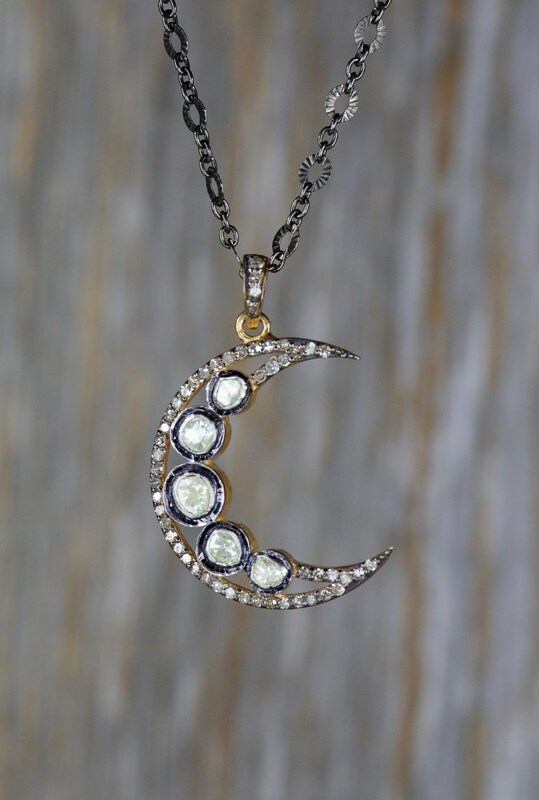 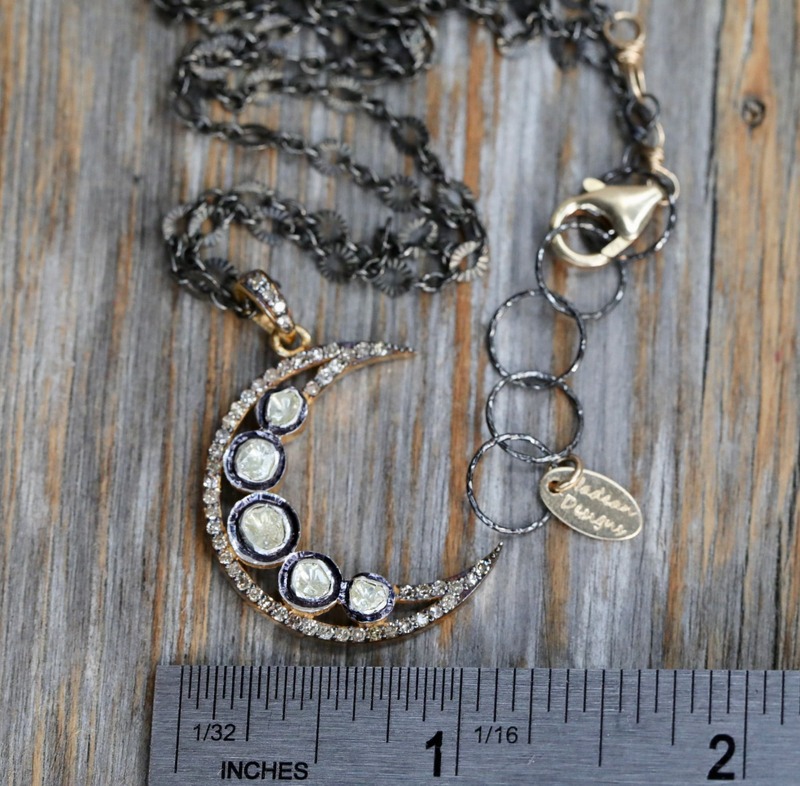 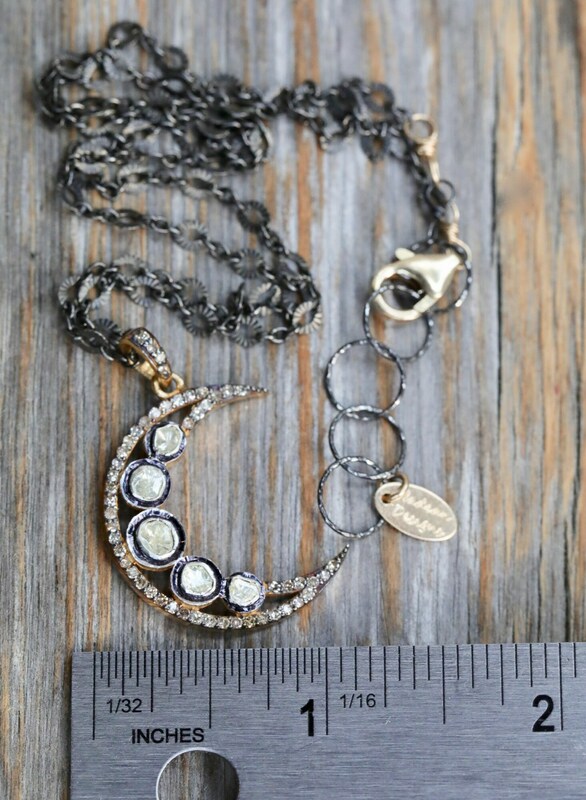 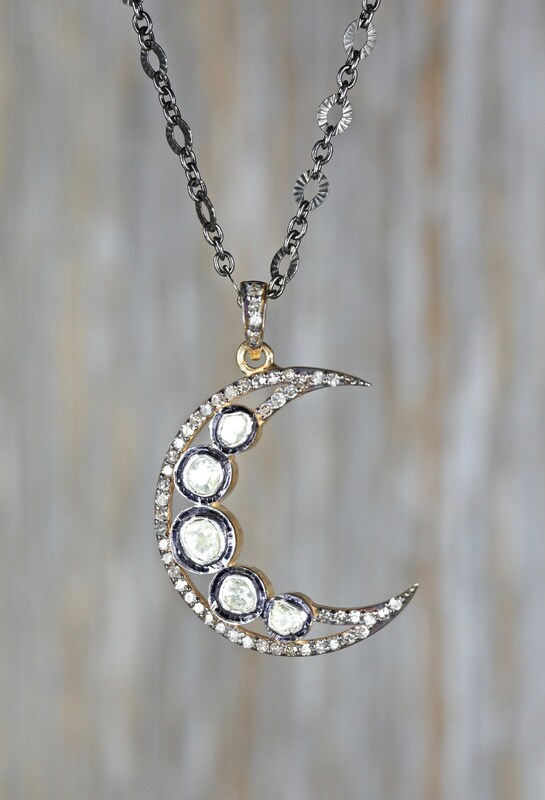 This is a large genuine pave and rose cut diamond crescent moon mixed metal necklace. 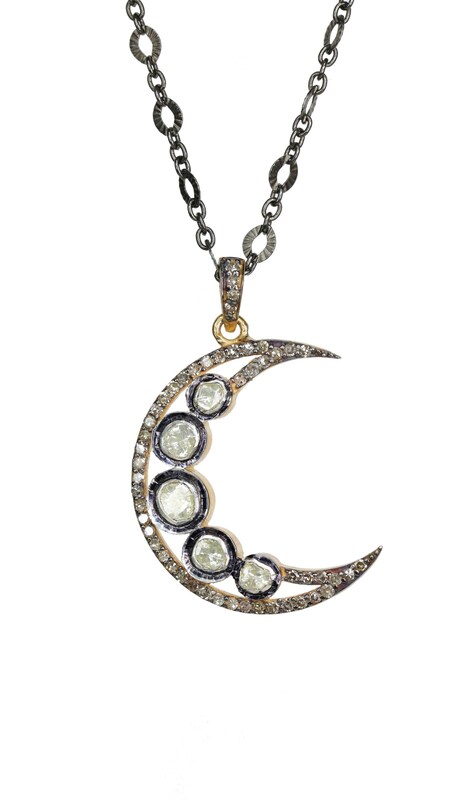 The metals consist of bright and oxidized sterling silver as well as 24 karat gold vermeil (gold plated onto sterling silver). 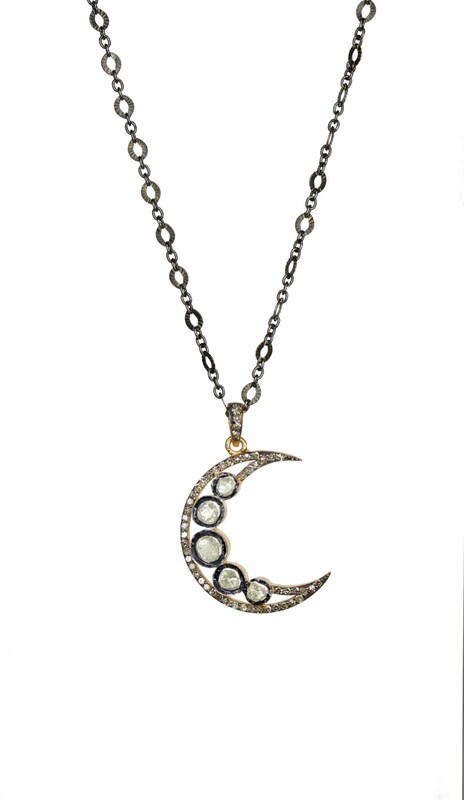 Gorgeous sterling .925 Oxidized silver fancy chain with lobster closure IN 14 KARAT GOLD FILLED.